1) My fiancee works in an MNC and requires to work on a plan for a good amount of money required for her marriage (planned tentatively in Nov. – Dec. 2016). Before she marries, she will come back to Kolkata and prepare for a job there after marriage. According to her, she has 18 months at best before she needs to draw the money. She can ensure 20-25k (at max.) per month for VRD. What will be the return in interest in that case from a suitable VRD investment? 2) Which banks are most suitable to get maximum benefits out of this VRD investment? Thanks Mr. Suresh, that saved me from intermingling o several options and I am in a confirmed position to advise her now. Variable Recurring Deposit interest rate –> 9%. 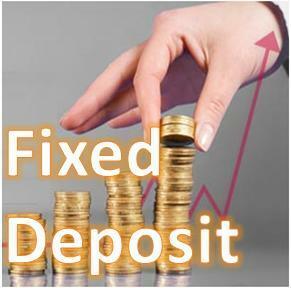 Fixed Deposit rate –> 6% (for 60 days). If I have INR 5000, is it wise to invest in Variable Recurring Deposit or in a fresh Fixed Deposit for 60 days? I am a recent college graduate and started working in a company. I am a newbie in investing. Where can i invest small amounts of money (<3000) to get a higher return by 2/3 years? Hi Sekar, Since you are young investor, start investing in recurring deposit for 2-3 years. You can analyse mutual funds and start SIP in 2-3 mutual fund schemes. But first understand before investing. Hi Subramanian, There are several best investmetn options for long term. You can invest in diverisifed mutual funds or large cap mutual funds, invest in bank RD and Secured Non-Convertible debentures. All have their postives and drawbacks. Please inform which area you are interested, I can guide further. hi, How secure are our investments in nationalised banks like Indian bank which has 37 % loss last quarter. Only 1 lakh is insured by the bank, what will happen to the rest of the amoun? Preity, Nationalised banks, they safe as they have majority stake from Govt. Now the second question is banks it is covered by insurance, yet the amount is max of Rs 1 lakh.